Looking to put on muscle? 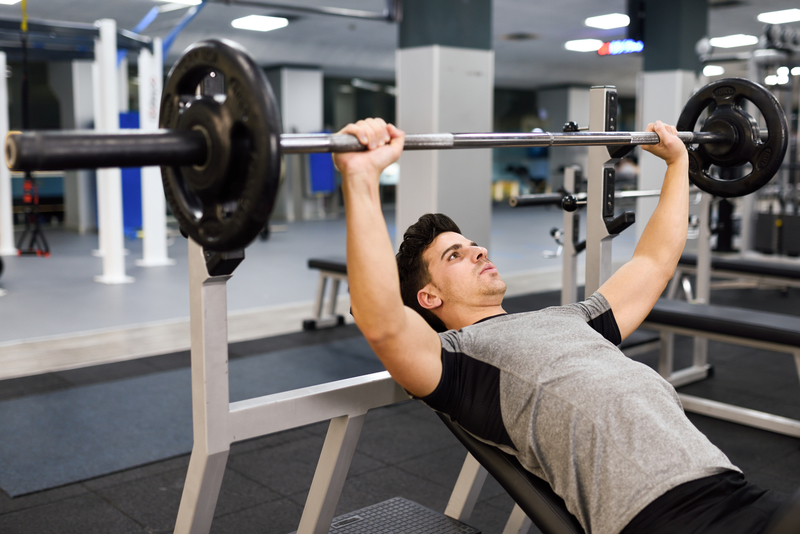 For many individuals, gaining quality muscle can be a challenge — and often it’s because they’re not eating right. You don’t need fancy protein powders to put on the muscle mass you’re looking for (unless you’re a bodybuilder or professional athlete) — everything you need is in your kitchen. Here are three delicious muscle-building meals that you can prepare in the comfort of your own home. Many of us have busy schedules, and cottage cheese can be a great option for a muscle-building meal. One cup of cottage cheese can pack in almost 30 grams of quality protein. Adding a nutrient-dense nut, like walnuts, can help keep you full throughout the morning. Walnuts also have essential fatty acids that have been shown to reduce cholesterol levels. As an added benefit, walnuts contain melatonin, which can help improve your sleeping cycle. You want a regular sleep cycle because, quality sleep promotes recovery after a strenuous workout. 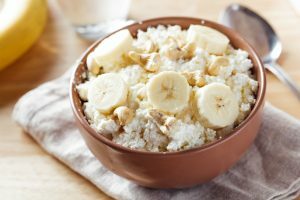 So top your cottage cheese with walnuts, add some sliced bananas or pineapple, and start your morning with a protein-packed breakfast. 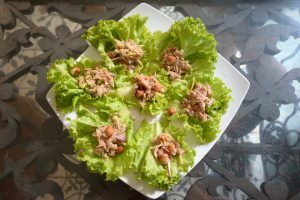 While tuna might not necessarily be your first option for eating healthy, this is a great source of lean protein that is quite versatile. One can of tuna has over 20 grams of high quality protein, and it is relatively inexpensive. Next time you open a can of tuna, try adding some lemon juice, extra-virgin olive oil, diced bell peppers, capers, and salt and pepper. Then, take this mixture and place it in butter lettuce cups for a keto-friendly, protein-rich meal. 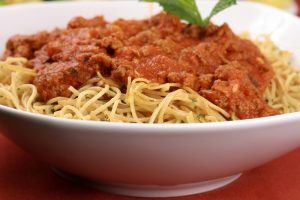 Using whole wheat pasta as a base for any meal is a great option because a variety of lean protein can be added to it. For this example, use lean beef on top of pasta to spike up the protein content. Begin by boiling your pasta 8-10 minutes while you are use a separate pan to cook your beef. Since lean beef is lower in fat, flavor it up with garlic powder, minced onions, and any other spices you enjoy. To ensure you are getting some veggies in, add in some cut asparagus or raw spinach when your beef is almost finished cooking. If you don’t have time to prepare your own pasta sauce, choose an organic, low-sodium option. To finish the dish, sprinkle it with some cheese and you have yourself a quick and easy meal that is sure to pack on the muscle. The options for for eating healthy and building quality muscle are truly endless. Try some of these quick and easy meals the next time you are in the kitchen. By having fun in the kitchen and experimenting with new flavors, you’ll never lose interest in eating healthy.